Have you gotten your heating bill yet this month? Lexington winters can cause your bill to go up and your bank account to go down. Winter bills are projected to be even higher than last year. This winter is far colder and consumers are using more gas which means winter heating bills are expected to get frosty. So, how do I keep my Lexington heating bill low this winter? The ideal indoor temperature for your home during the winter is 68 degrees during the day when someone is at home. You can lower your thermostat by as much as 6 to 10 degrees at night or when no one is home. A 10 degree shift for eight hours or more can save 10% or more on your heating bill. Wear an extra layer of clothing or an extra blanket at night if you are cold. If you’re still cold, raise the temperature by one degree at a time. For optimal savings, install a NEST learning thermostat. Your thermostat controls half of your energy bill – more than appliances and electronics. The NEST learning thermostat learns what temperature you like and builds a schedule around you. It programs itself and then pays for itself. The NEST thermostat saves an average of 10% to 12% on heating bills. Professional tune-ups save money. Don’t wait until your furnace breaks down to make the call. Emergency service calls can be costly and repair costs add up quickly. A neglected heating system can lose 5% efficiency each year. The total of all of these costs, not to mention worry, are much more than the cost to have your system tuned-up. Climate Control, a trusted Lexington HVAC company, has excellent service plans and technicians to tune-up your furnace. A dirty air filter can actually lower the temperature in your home. If your air filter is clogged then airflow through the heating system is weak. Your HVAC system will have to work harder to maintain the temperature on your thermostat. This can cause a breakdown in the system and the temperature in your home will begin to drop. Changing your furnace filter is easy to do but sometimes hard to remember. Put a reminder on your phone each month or install an airflow detector that warns you when your filter needs to be changed. 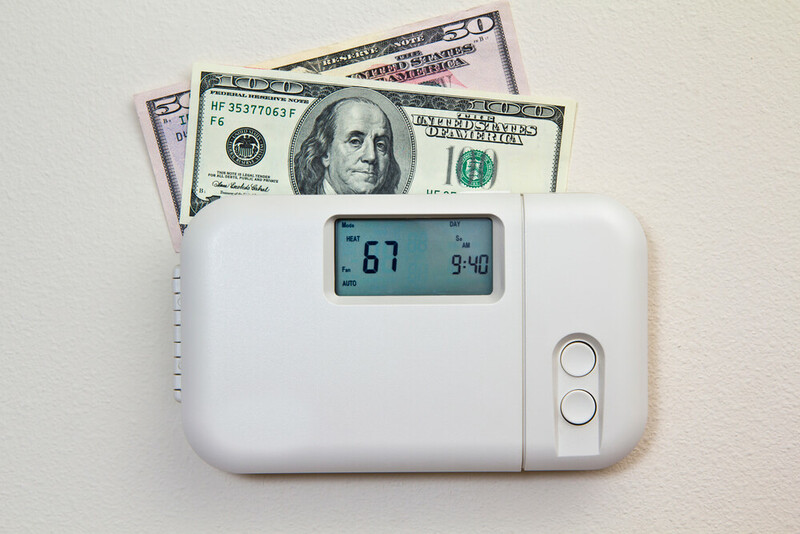 If you’re looking to save money and keep your Lexington heating bill low this winter, Climate Control can assist you. Contact us to have a NATE-certified heating technician perform a furnace tune-up today. Additionally, have a NEST learning thermostat installed to save even more money. Climate Control is an incredible company with great products, prices, and services. Feel free to checkout our website or contact us directly at 859-469-4182. Why Install a Nest Learning Thermostat? Why Geothermal Heat for Your Lexington Home?